The historic district of Tomo-no-Ura (鞆の浦) in Fukuyama City is a source of much pride in the city. 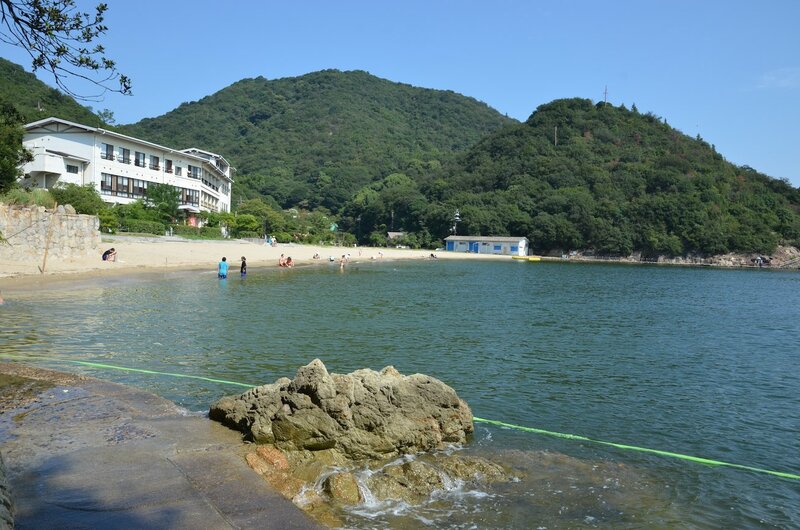 This ancient seaside town is famous for its demonstrations of traditional sea-bream fishing at nearby Sensui Island during the month of May. 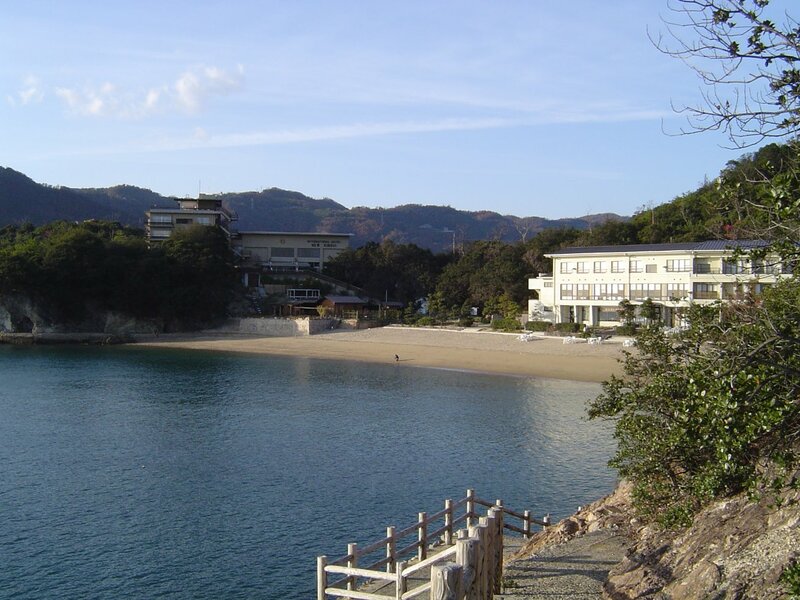 The town is located on the far edge of the river delta south of central Fukuyama City. It is easily reached by bus from JR Fukuyama Station and a number festivals and events occur at Tomo-no-Ura during the year. 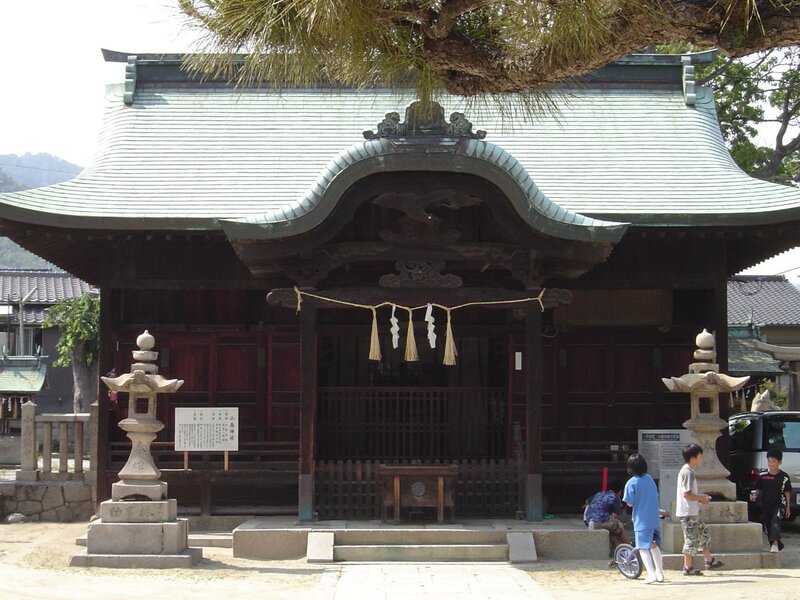 Most of the historic buildings and shrines in Tomo-no-Ura were built in the Edo period (1603-1868) when it was an important stop on the maritime highway. It was also a designated location for diplomacy with Korea during this era. Today, it is considered by the World Monuments Fund (an international non-profit group) as one of a hundred most endangered sites in the world. It was listed in 2002 because of the local government's plans to build a landfill and a major bridge nearby. These plans have so far only been delayed by local opposition. Frankly, much of the modern infrastructure like the sea wall is just plain ugly. A notable white apartment building lurches into the skyline of tile roofs to win the most detractive to the ambiance private sector award. Exploring Tomo-no-Ura is made all that more fascinating by a well executed series of interpretive signs beside all historic sites. These signs blend in with their surroundings but are easy to spot and very well written in Japanese and English. In addition, large maps of the area are outside major buildings and scattered through out the town. This guest house was built for Korean Ambassadors in 1760. 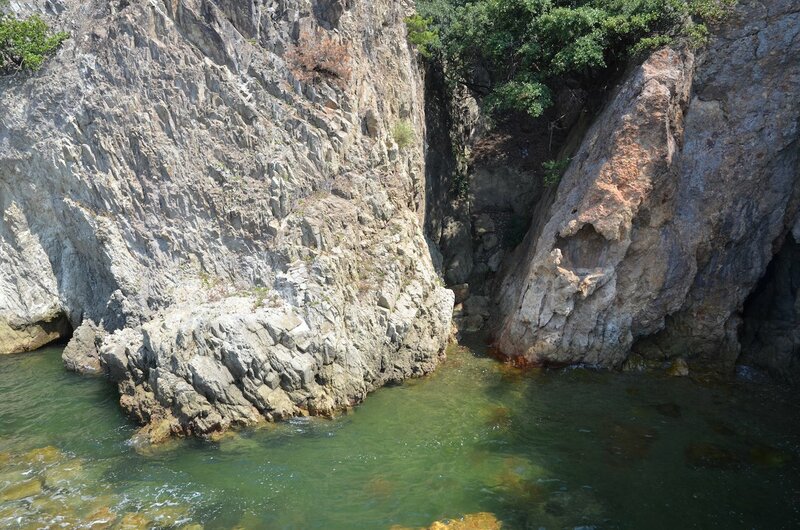 Korean Ambassador, I-pan-on, in 1711 proclaimed the view from here to be the greatest in Asia. The former guesthouse is now a national historic landmark and can be toured to view the same view that the ambassador raved about. The local museum is on top of the hill overlooking the harbor where the castle used to stand. There are various display related to sea-bream fishing and historic artifacts. 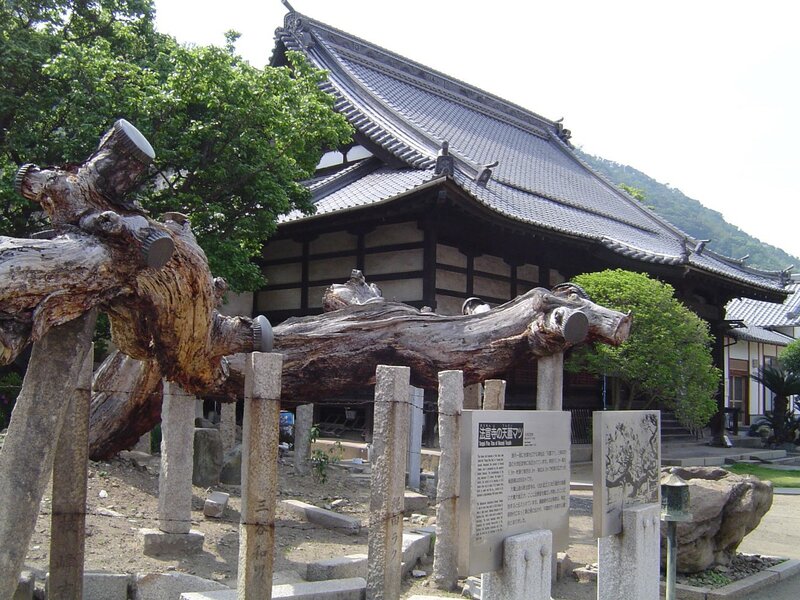 The museum is dedicated to preserving the local culture and so there is plenty of information about unique local customs and ceremonies like the Oyumi Shinji Ritual of Archery and the Otebi Fire Ritual. The museum's display descriptions are written in Japanese only. Admission is 150 yen for adults and the museum is closed the first workday of the week (usually Monday). 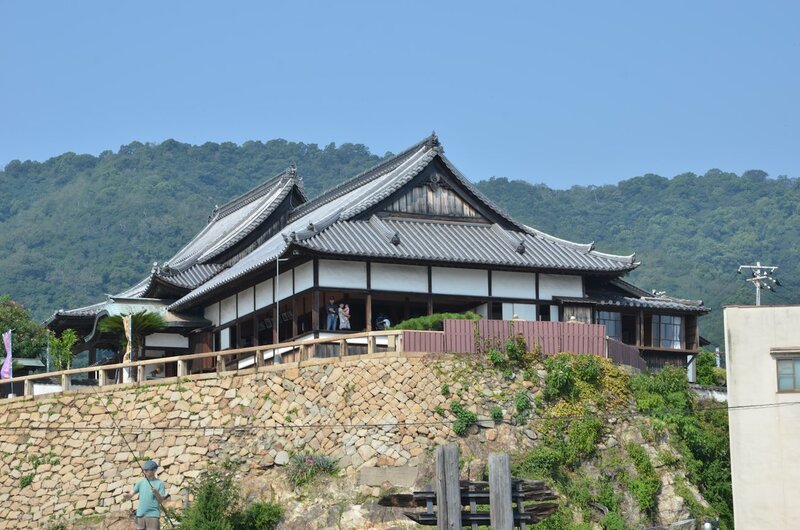 Tomo-no-Ura has numerous other historical buildings and probably the highest density of memorable temples and shrines in Hiroshima Prefecture. 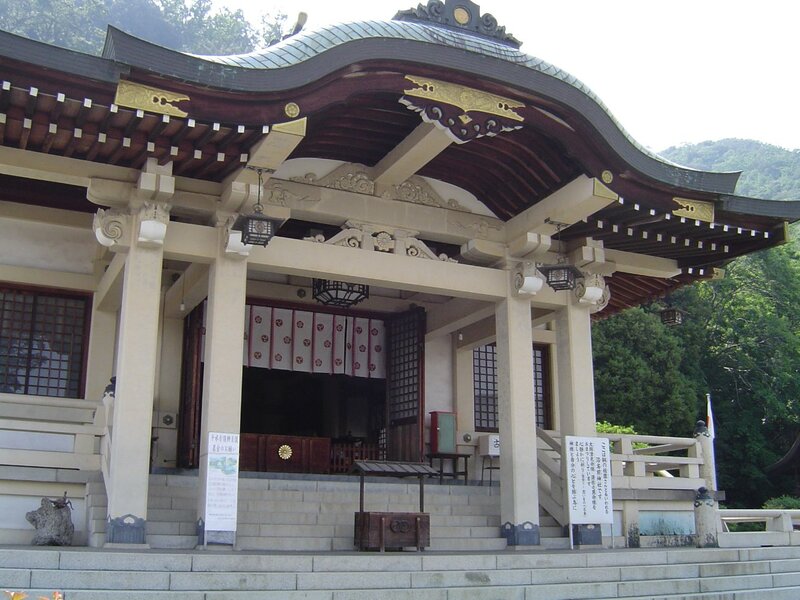 Nunakuma Shrine (on the right), for example, is up a long and wide stone staircase. 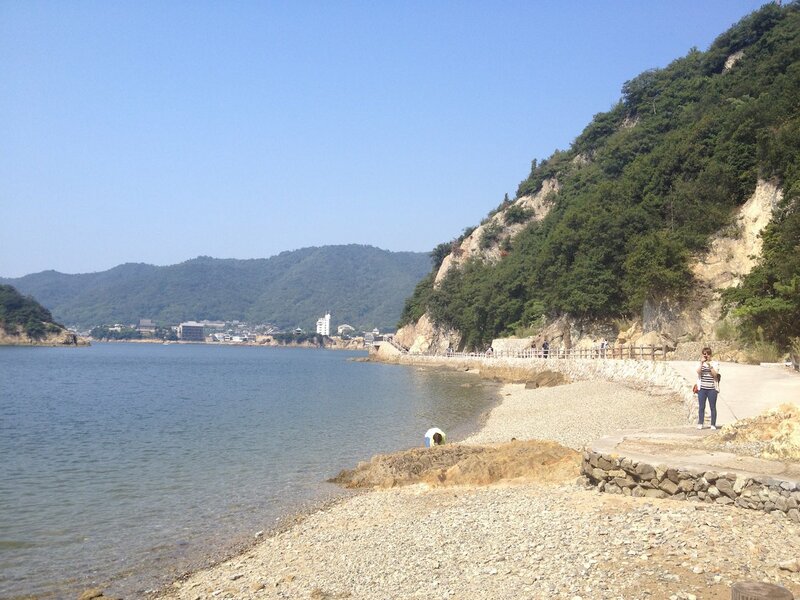 Sensui Island (仙酔島) is somewhat comparable to Miyajima Island on the other side of Hiroshima Prefecture. 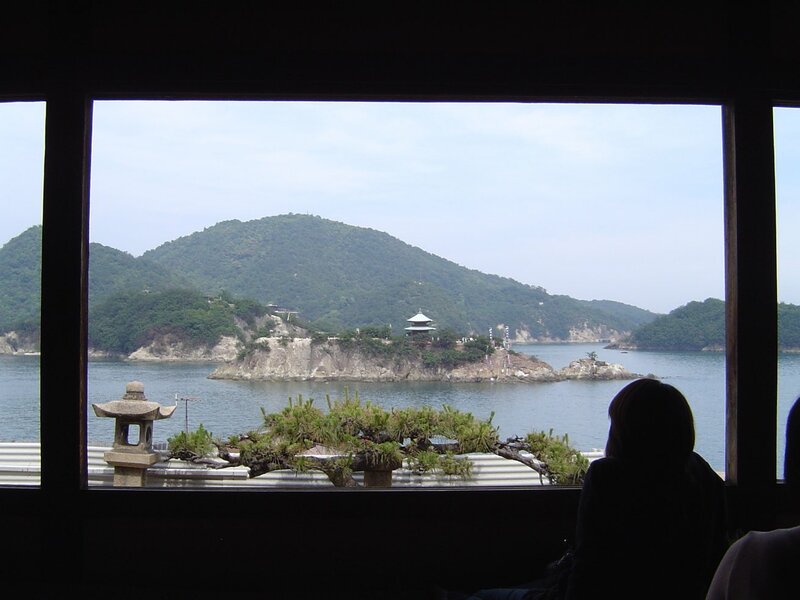 While there are no famous shrines on the island, it is regarded as a special and historic island. 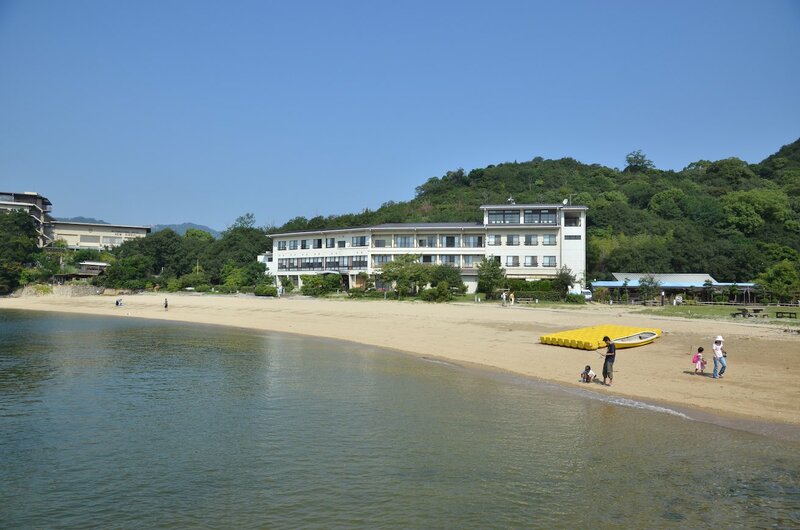 The island has several beaches, a campground and a hotel. Numerous trails crisscross around the island to scenic spots and beaches. 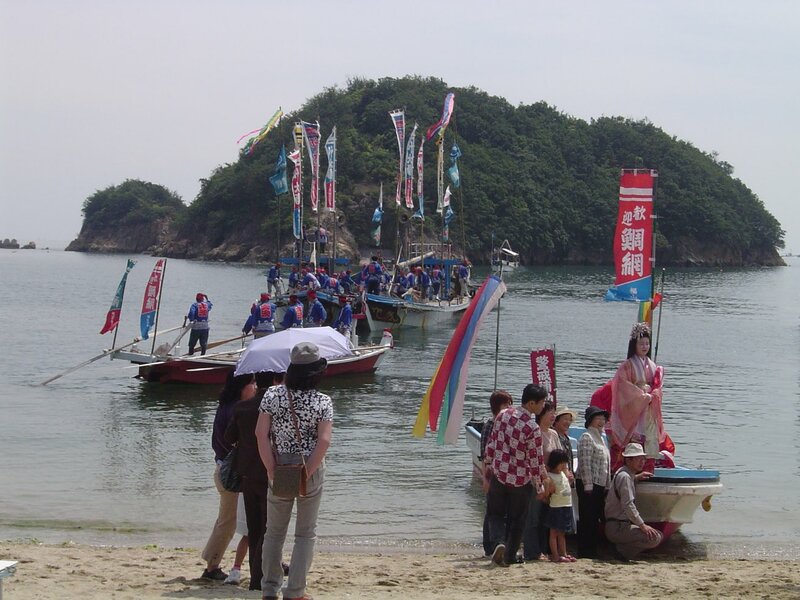 Tomo-no-Ura's famous style of sea-bream fishing which developed in the Edo period is regularly shown here in May. 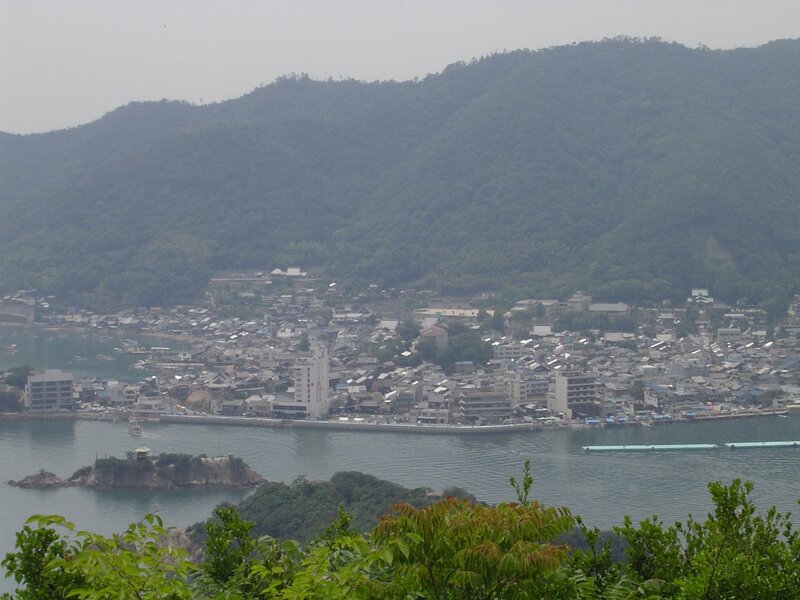 A small passenger ferry runs regularly between Tomo-no-Ura's Port and Sensui Island. 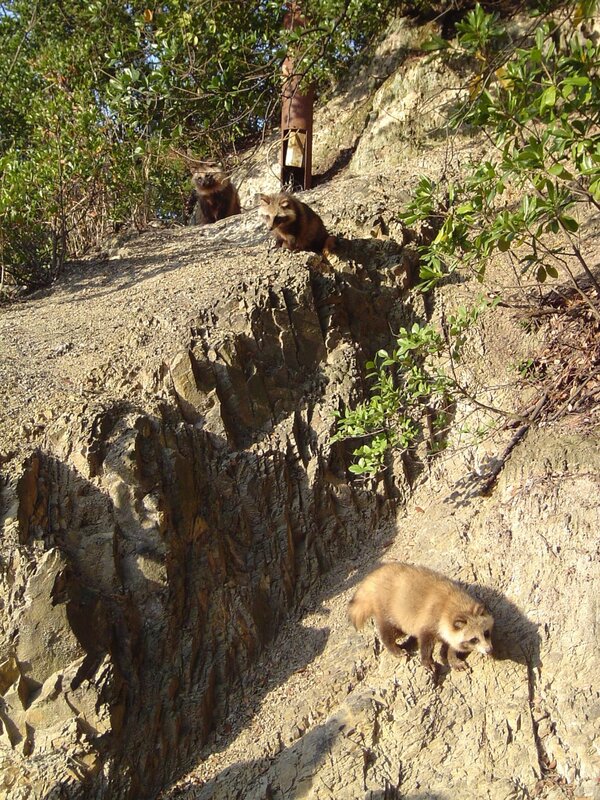 Tomo-no-Ura is 14 kilometers south of Fukuyama City. Buses leave regularly about every 15 minutes during the day from platform 11 in front of JR Fukuyama Station to Tomo no Ura. The bus costs a bit over 520 yen and takes 30 minutes. 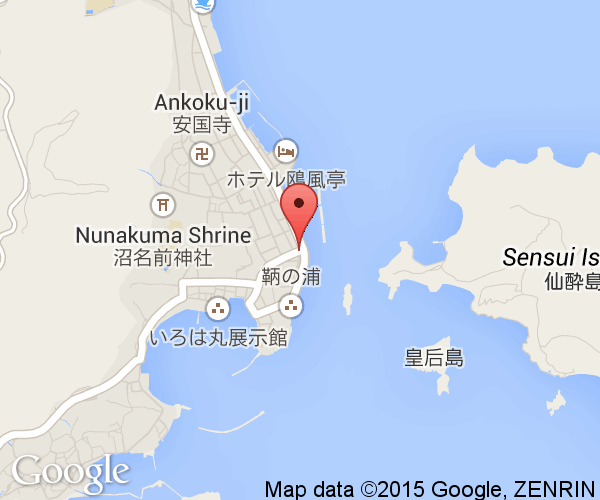 JR is also running a cruise service between Onomichi City and Tomo-no-Ura. It costs 1,500 yen for adults. Tickets can be bought at Onomichi Station. The service runs weekends and holidays and shuts down during the winter months. See Also: Shimokamagari in Kure City was also a stop on the maritime highway and a place used for diplomacy with Korea and other countries.